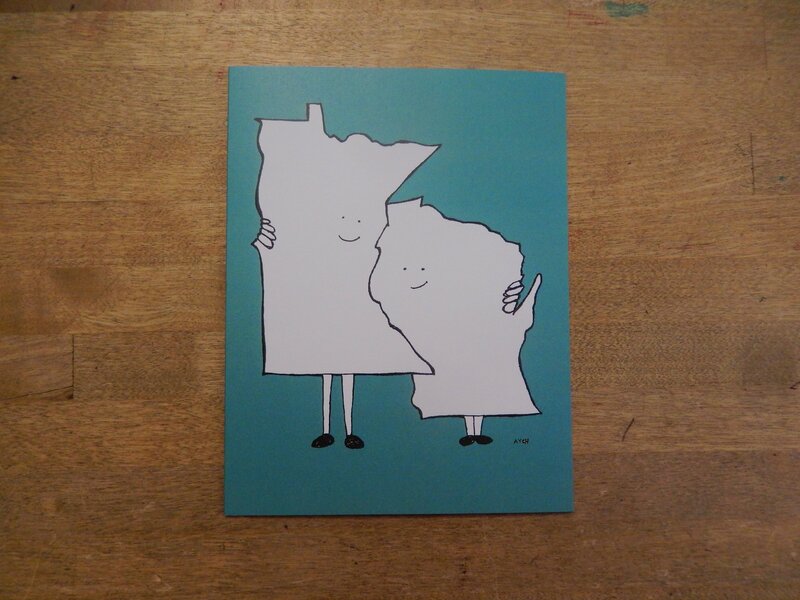 Blank A2 card (4.25 x 5.5) with envelope. 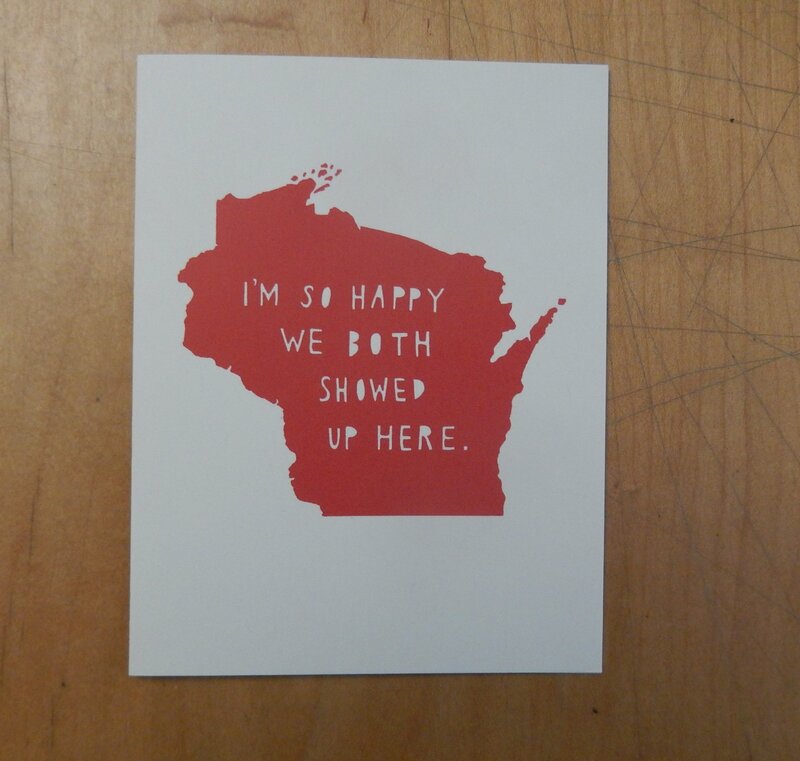 Screenprinted in Madison on French Paper Co. paper. 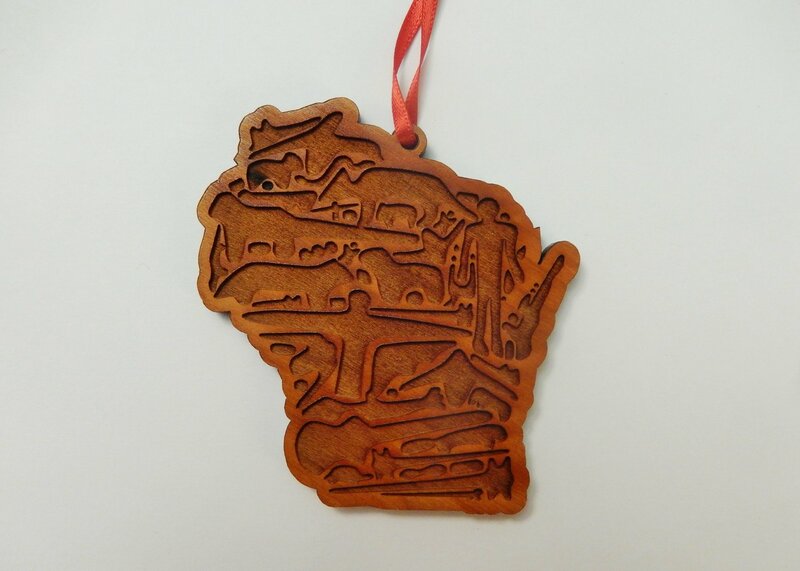 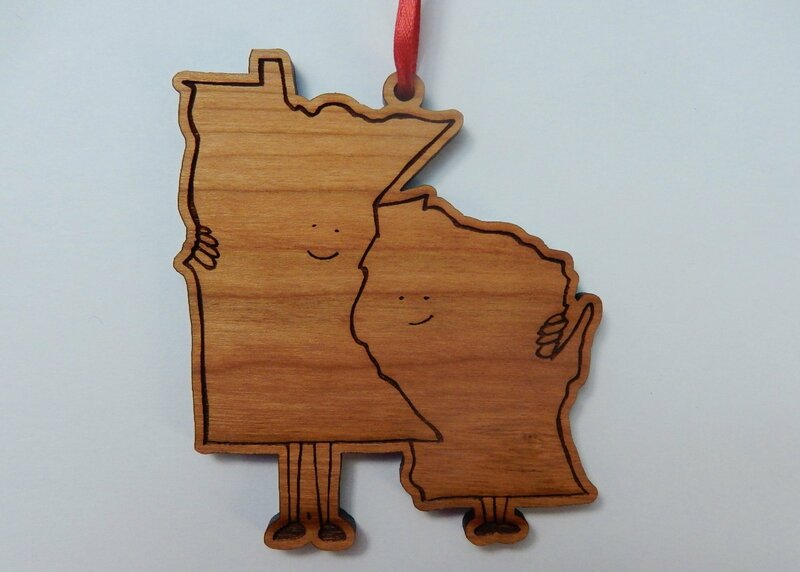 12.5" x 19"
Made in Wisconsin of North American hardwood trees sustainable and renewable resources. 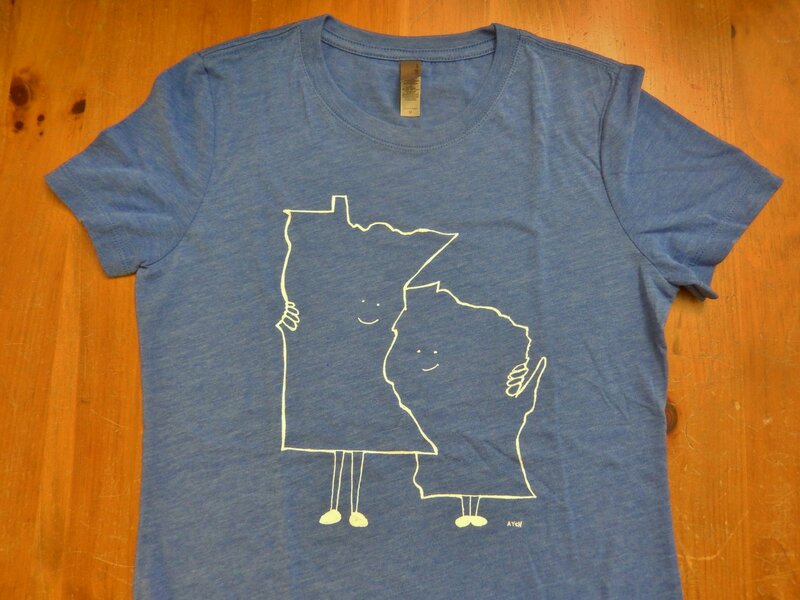 Wisconsin and Minnesota hugging t-shirt. 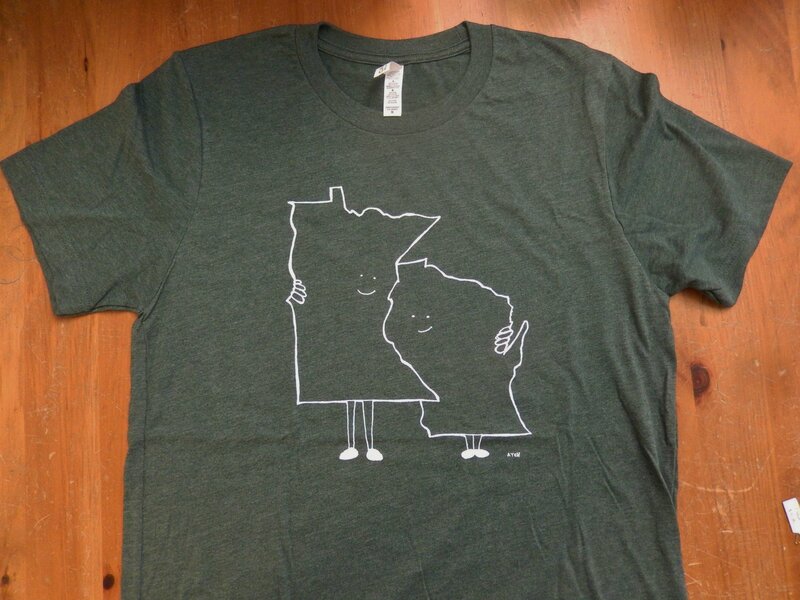 CAUTION: these shirts run very small! 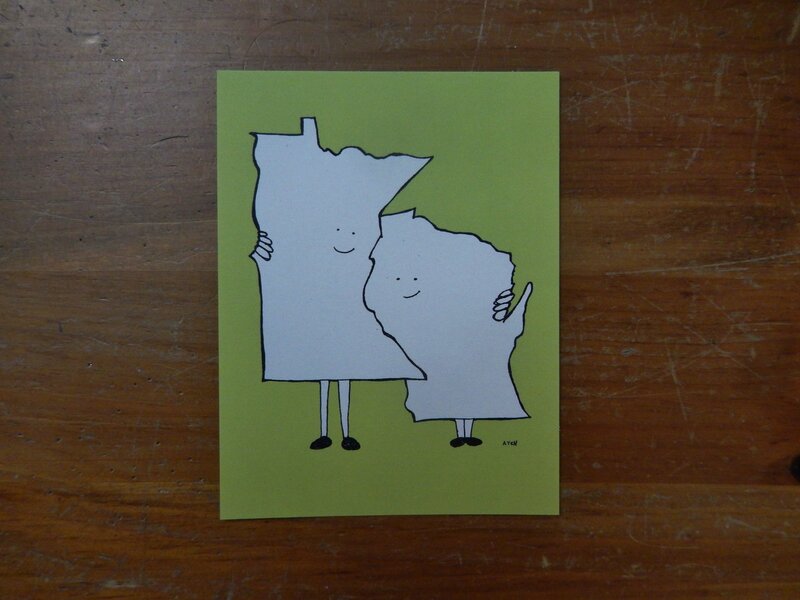 Please check the size chart before ordering. 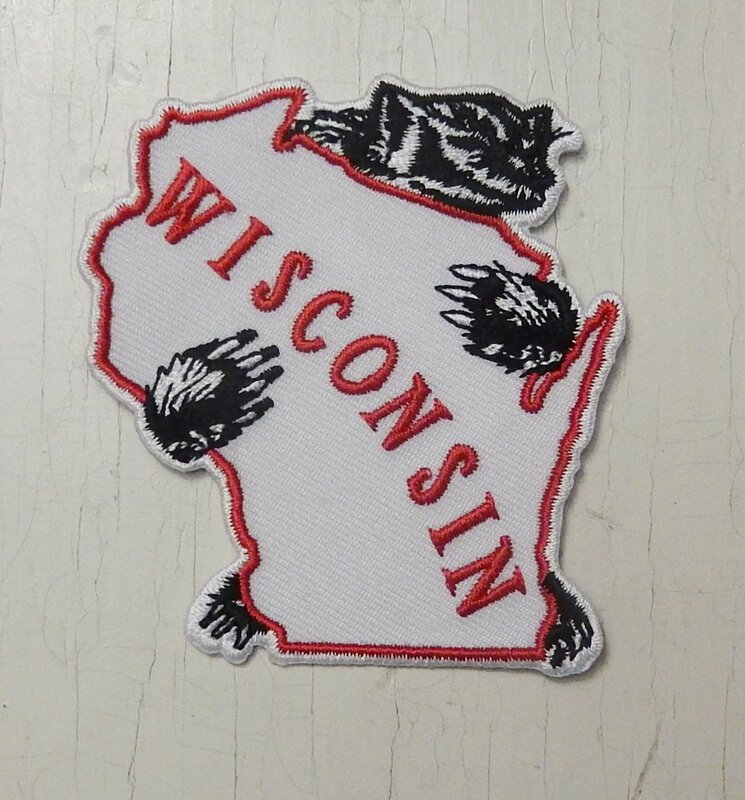 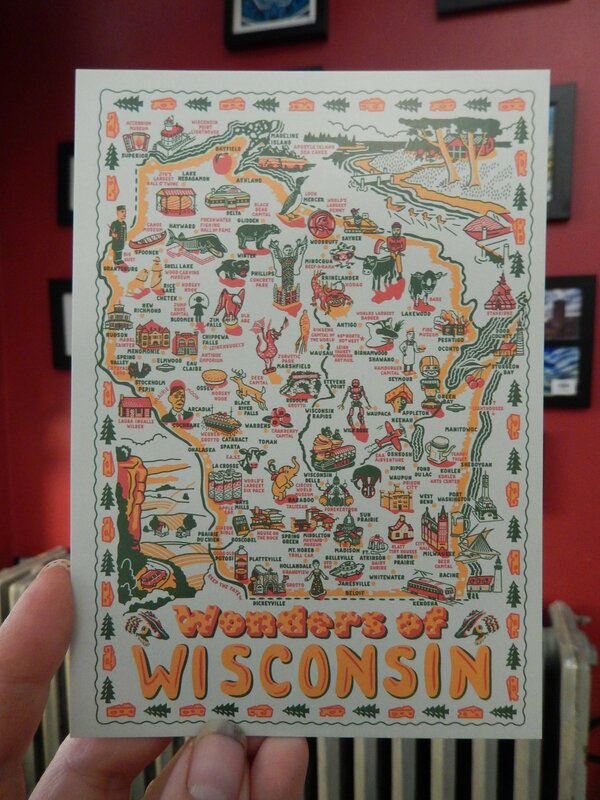 Postcard map of Wisconsin detailing assorted wonders. 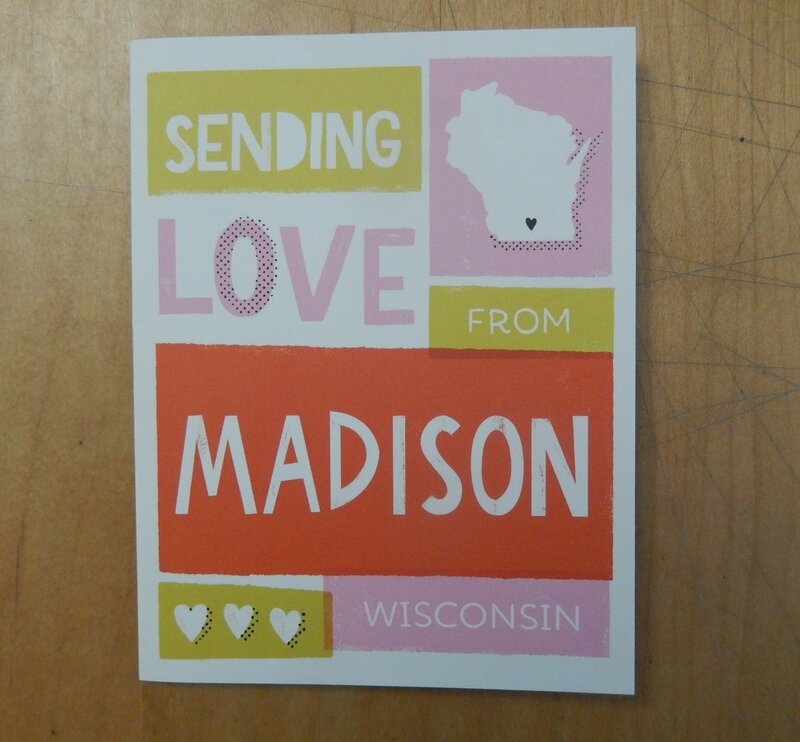 Blank A2 card (4.25 x 5.5) with envelope. 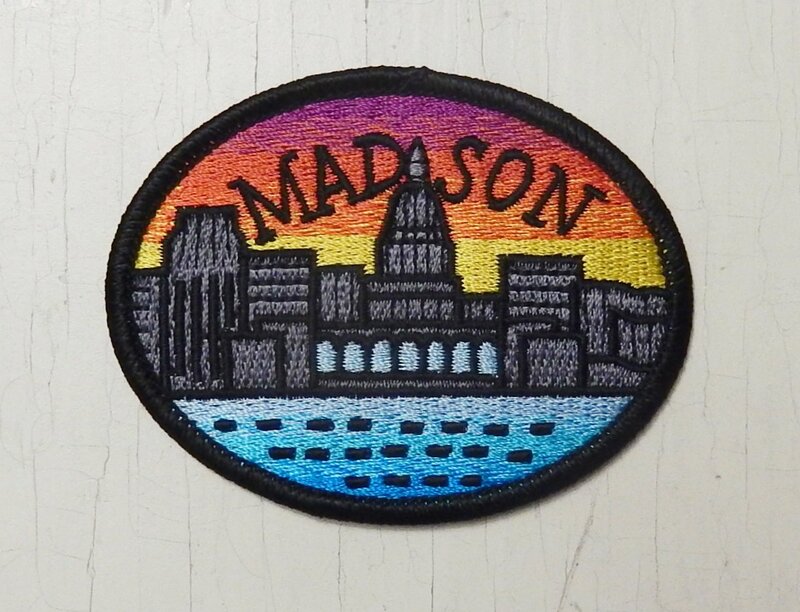 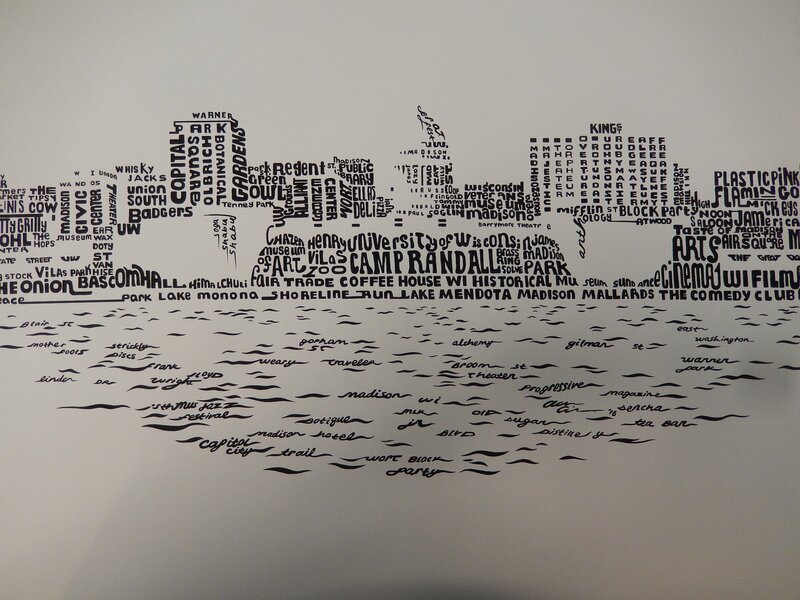 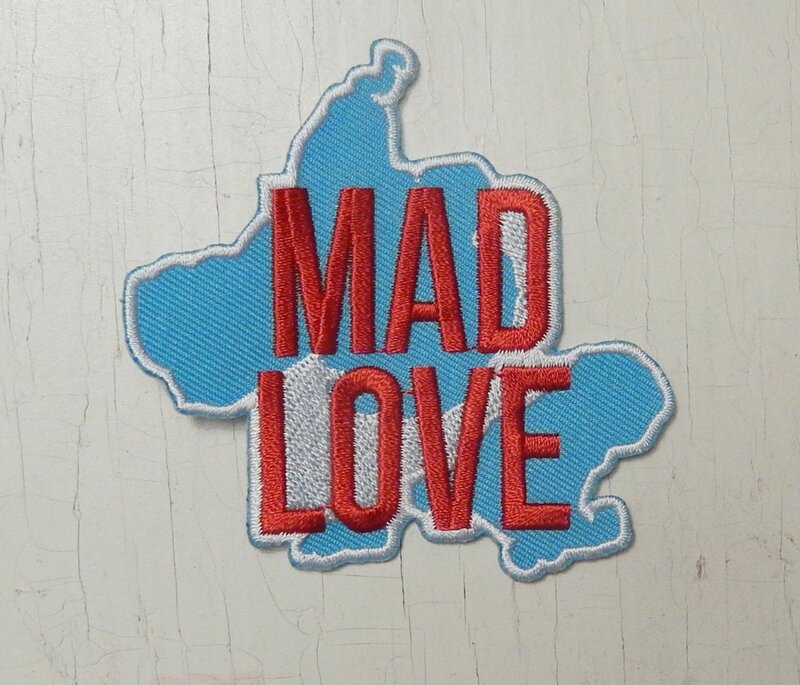 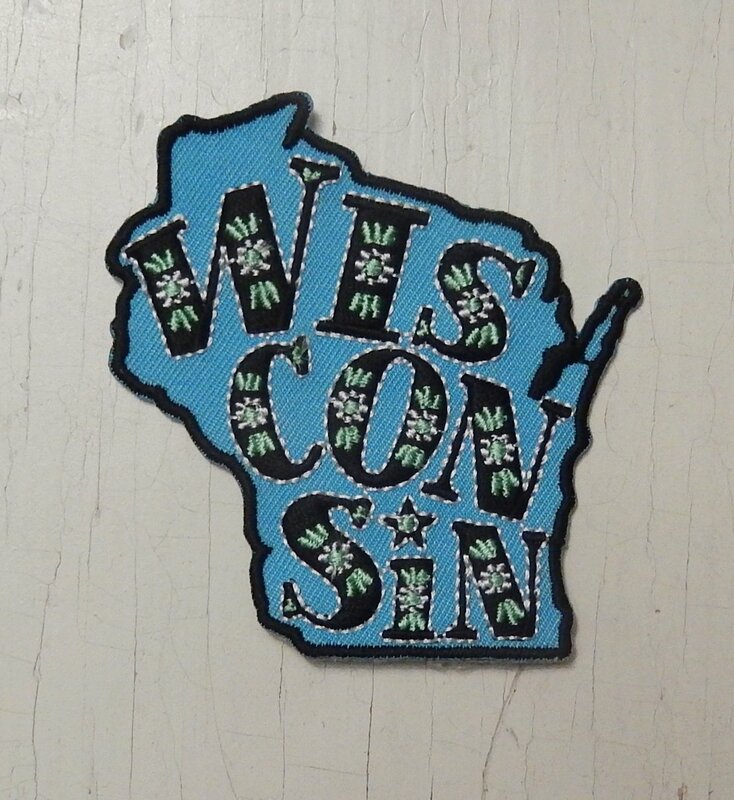 Designed in Madison printed in Oregon Wisconsin.